Do you need a new server but don’t have the capital expenditure or IT services to make it happen? Derby Virtual Private Server provides electronics companies with access to hardware, networking and data center resources without the need to purchase dedicated servers or increase the demand on internal IT resources. From time to time there are situations when access to additional computing hardware is needed (e.g. special projects or refreshing a legacy engineering server). If the need was not planned for there might not be the CAPEX or IT services available! Instead of putting things on hold an alternative is to go with a cloud service that provides access to computing resources in a virtualized environment. Fully-customizable configurations including Windows or Linux operating systems, IPv4 or IPv6 connectivity, and daily backups. Spares of all critical components are kept onsite for hot swaps in the event of a hardware failure. 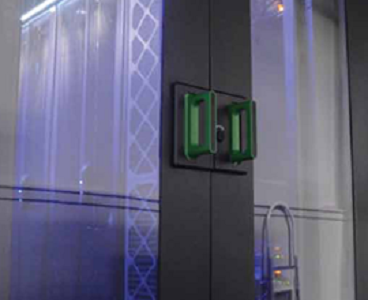 Virtual Private Servers are also dual-homed for networking and electrical power, ensuring consistent reliability. Technicians are available 24 hours a day, every day of the year to provide assistance when needed. Derby Virtual Private Server provides electronics companies with a cost effective and flexible way to extend hardware and networking resources to manufacturing sites, engineering/repair centers and remote facilities that have limited or no access to IT services.